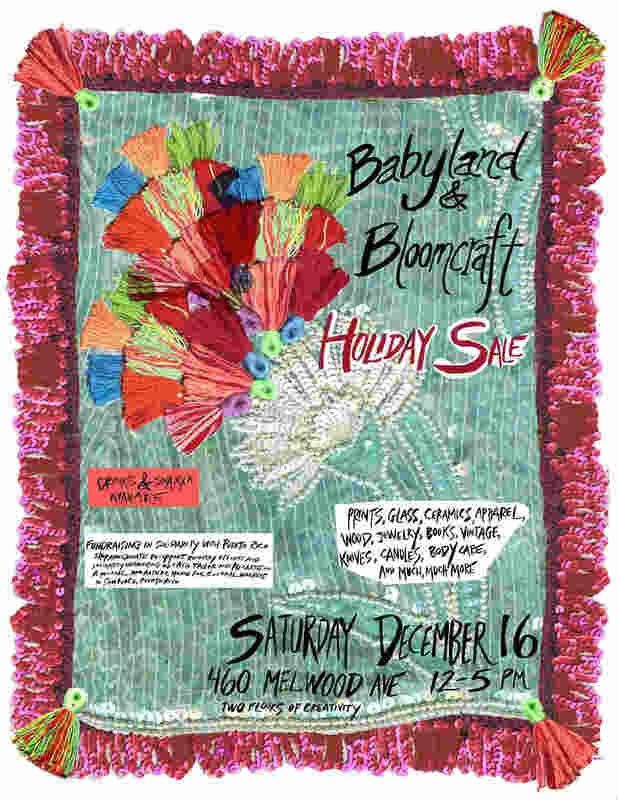 Come join us at the annual Babyland/Bloomcraft Holiday Market! We’ll have our office doors wide open, selling anything and everything we normally have on our website In Real Life! Meet Justseeds members Bec Young and Mary Tremonte and grab some last minute holiday gifts (or something for yourself, that’s OK too). The holiday market brings together all kinds of the best local craftspeople and makers and artists in orbit around the Bloomcraft building and the Babyland collective, all housed in the dynamic Bloomcraft space on Melwood Avenue. You’ll even find Justseeds member Shaun Slifer tucked away in a corner, taking a break from the daily holiday office madness to hawk his handmade scrimshaw wares!